New Price!!! Check out this lovely family home with a marvellous garden! A rare opportunity to buy a splendid three bedroom end of terrace property with a large kitchen and a good size living room in the beautiful seaside town of Penarth. Located within the catchment for the excellent local schools, this family home has lots to offer. The large South facing garden is a highly sought after feature, and is private and not overlooked – perfect for entertaining al fresco style in the summer! Complete with a decked area and a large portion of lawn, this garden is a luxurious element to this lovely home. An immaculately presented property, with good size rooms, that simply must be viewed to be appreciated. A uPVC double glazed front door with a matching side panel welcomes you to this home. The hallway is fully carpeted and has a GCH radiator and an under the stairs storage area offering additional space. The half glazed pine doors lead you to all of the downstairs rooms. 17′ 10” x 10′ 7” (5.44m x 3.23m)A spacious living room that is filled with natural light from the large uPVC windows. The birch effect laminate flooring is in excellent condition, and the feature fire place adds a contemporary feel to this room. There are 2 GCH radiators and a lovely view over the back garden. 13′ 3” x 12′ 2” (4.06m x 3.71m)A well appointed family kitchen and breakfast room with light cream units and dark marble effect work tops. With plenty of space for a fridge freezer, washing machine and gas cooker, this kitchen is well laid out. The tile floor, stainless steel sink/drainer and breakfast bar unit complete this light and airy family space. There are 2 uPVC double glazed windows, one giving a beautiful view of the back garden. 8′ 0” x 5′ 2” (2.44m x 1.6m)This very functional and practical room is an excellent addition to the house. With built in cupboards from floor to ceiling and space for a tumbler dryer, this utility room has a lot to offer. This light and open landing area is fully carpeted and has a large uPVC double glazed window. 12′ 9” x 10′ 0” (3.91m x 3.05m)A large Master bedroom with a uPVC double glazed frontal window and a GCH radiator. This neatly presented master bedroom has plenty of space for furniture and is in keeping with the rest of the property. 9′ 8” x 10′ 9” (2.95m x 3.28m)Another excellent size bedroom which includes built in wardrobes, a large uPVC double glazed window and a GCH radiator. The loft access is also located in this second bedroom. 8′ 0” x 8′ 0” (2.44m x 2.44m)This final bedroom is another good size room with a uPVC window overlooking the beautiful garden. Fully carpeted, with fitted wardrobes and a GCH radiator. This well presented shower room is fully tiled and has integrated storage units offering that essential extra space for bathroom accessories. There is a chrome towel rail, an electric Triton shower and white sink basin with a chrome mixer tap. 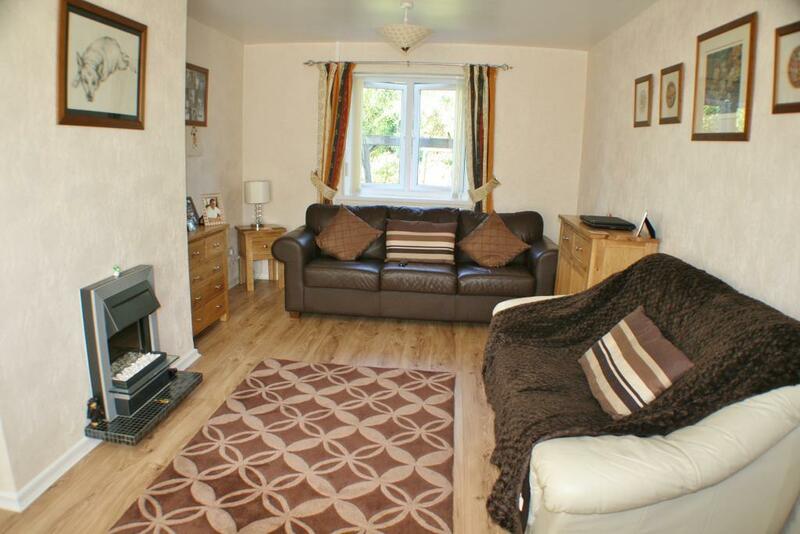 A separate neatly presented W/C with tiled flooring and part tiled walls. An immaculately presented south facing garden with a wonderful balance of decked and lawned area. 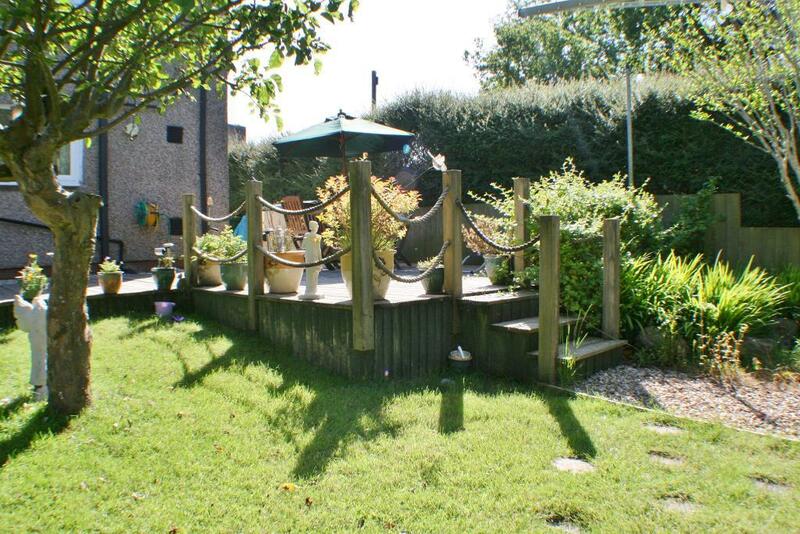 With storage sheds and a garden swing as central features, this lovely outside area is practical and fun as well. There is the added bonus of rear side access and an outside tap. A fantastic opportunity to own a property with such a exceptional garden area, finished to a very high standard with flower boarders and mature shrubs. Come on Landlords….We can get your property let in the blink of an eye! LET us help you!